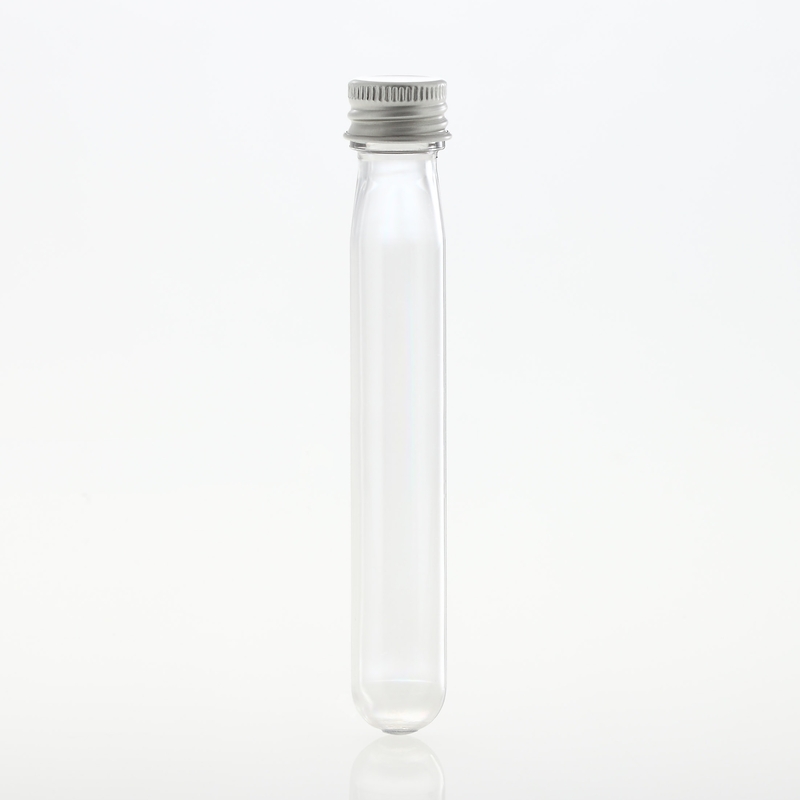 PET ”Tube” 20 ml crystal clear. The “Tube” is perfectly suitable for samples and giveaways. Price inclusive Aluminium Screw Caps D=18 mm. The “Tubes” are perfectly useable for samples or giveaways like: herbs, spices, teas, bath salts, incense and many more. This product also offers creativity a multitude of possibilities. PET Bottles will be delivered inclusive suitable Aluminium Screw Caps.